This was a very proud moment for Off-Track Backpacking! 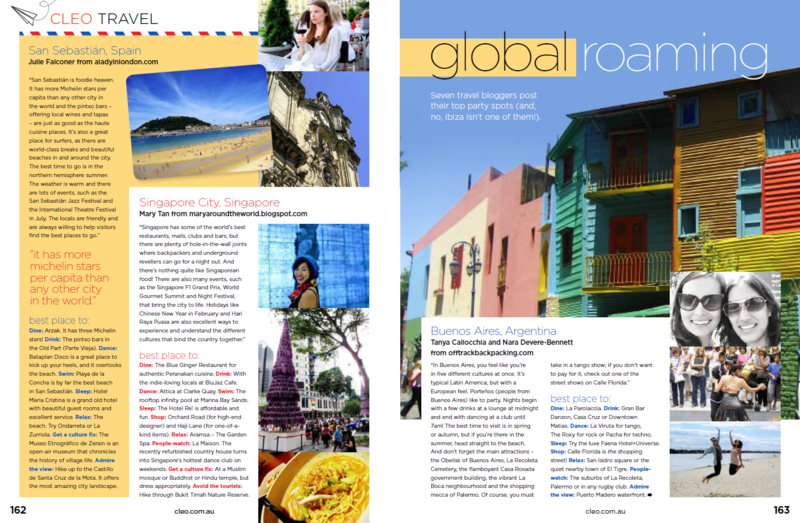 Our content finally moved from online to paper in July, 2011, as an article we wrote on Buenos Aires got featured in Cleo Magazine in Australia. The topic? Our best party spot. It’s always nice to see your own article in a magazine. Enjoy the read! 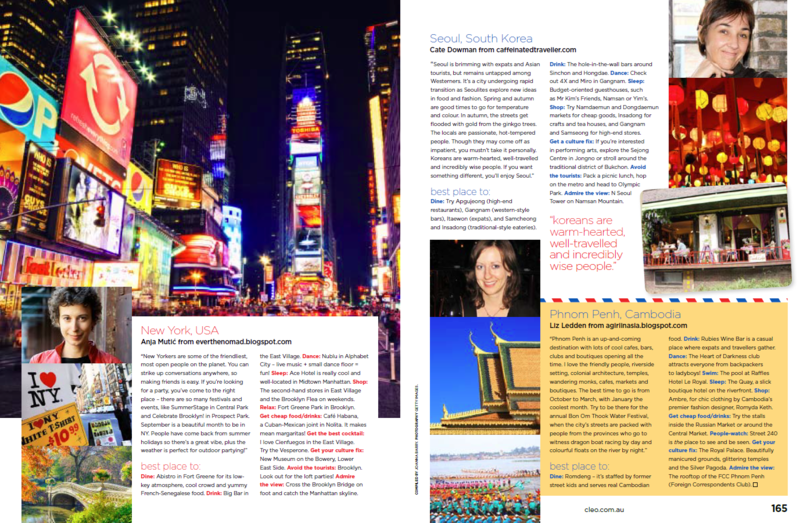 You can see our interview on Women Travel the World blog. Their story all began during the summer of 2005. While Nara was backpacking solo after almost a year of working in Dublin (Ireland), Tanya was traveling with her friend after spending a semester abroad in Torino (Italy). Read our full interview on RV National Parks. Here’s something to get you excited! Q: What advice would you give to a newbie traveler? Advice to a newbie- Travel with confidence and be independent. Traveling alone is a wonderful experience. It makes it easier to meet fellow travelers, see what you what and feel free. Unless you have a wonderful travel buddy! Read about Tanya’s paragliding experience in Rio de Janeiro on the World Reviewer. A definite must if you’re in Rio! Solo-Female Backpacker? Here are a few quick tips!